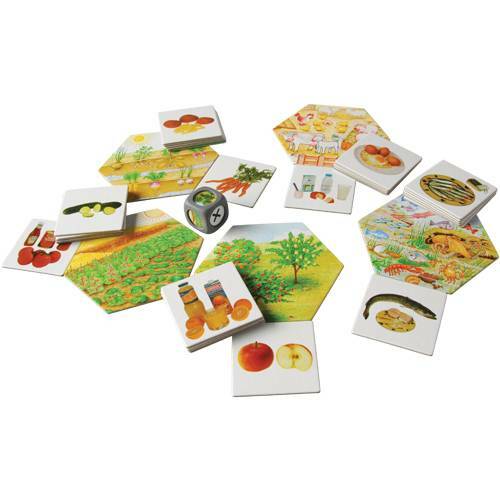 Use the heavy-cardboard pieces to help children learn where food comes from. The hexagon shaped pieces show places including farm animals, the sea, underground, on plants, and in trees. The game pieces display different foods. Children then place the food cards around the places food comes from and creates conversation. Cards are self-checking and all store in a plastic case. The card game is a 35 pc. set.